And then there was one. From the four office workers chosen to participate in AirAsia Travel Photographer 2015, including a car salesman and a barista, the online votes have been tallied and 36-year old Velvet Lagman takes home the grand prize! Mentored by Malaysian photojournalist Adam Lee, Velvet has received the coveted title of AirAsia’s Best Travel Photographer of 2015 along with 100,00 AirAsia BIG Points and a Nikon D5500 with a 18mm-55mm lens kit. The photo contest was jointly organized by AirAsia and ThinkDharma Inc. (the exclusive distributor of Nikon Digital Cameras) in partnership with AirAsia BIG, the airline’s global loyalty programme. Lucky Voter Grand Prize Winner was awarded to Mia Celindro. She received 100,000 AirAsia BIG Points and a Nikon 1 J5, while ten other lucky voting contestants were awarded with AirAsia BIG Points plus other goodies from Nikon. Assisted by acclaimed photographers from the Philippines and Malaysia as their personal coaches, four pre-selected contestants travelled across Asia for one week, which started on July 21. Contestants were tasked to capture unforgettable moments in categories: landscape, food, portrait, architecture and travel in Bangkok, Kuala Lumpur, Indonesia and Hong Kong. Online voting via www.airasiatravelphotographer.com was opened to the public from August 20 and concluded on September 5. 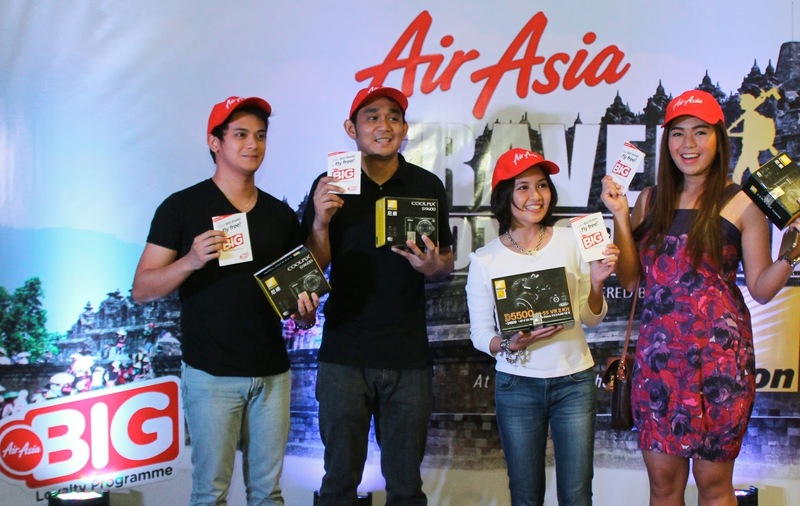 Philippines AirAsia Head of Commercial Gerard Penaflor led the awarding ceremony held in Mandaluyong City, Philippines in September 18, 2015 and joined in the ribbon-cutting of the exhibit featuring pictures taken on the contest leg.